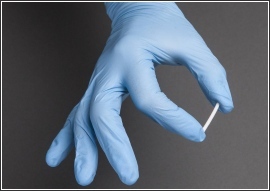 The FDA has approved a new implantable drug called Probuphine. 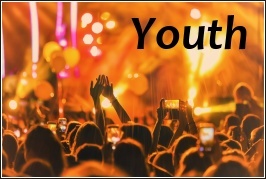 Probuphine contains the partial opioid agonist, buprenorphine, which is used to suppress the opioid withdrawal symptoms that interfere with daily life. The implant is the size of a matchstick and is inserted under the skin in the forearm area. It steadily releases a dose of buprenorphine which has been scientifically proven an effective treatment for eliminating opiate withdrawal symptoms in a number of people physically dependent on opioids. With heroin and opioid overdose deaths at an all time high in the United States, this new alternative offers one more beneficial path for anyone struggling with opioid relapse and chronic withdrawal. Importantly, Probuphine only treats the physical withdrawal from opioids such that the underlying psychological factors of addiction must still be treated through counseling and other support approaches. Scientific evidence suggests that maintenance treatment with these medications in the context of behavioral treatment and recovery support are more effective in the treatment of opioid-use disorder than short-term detoxification programs aimed at abstinence. Over 47,000 people died in the U.S. of drug overdoses in 2014. A majority of these were attributed to heroin and prescription painkillers. With continued coverage in the media and ongoing community discussion, more answers and helpful interventions will hopefully see the light of day. President Obama recently attended the National Prescription Drug Abuse and Heroin Summit in Atlanta, Georgia. Professionals and concerned citizens used the forum to explore ways to address America’s rising opioid addiction problem. The President agreed that increased funding is needed to raise access to drug treatment in an effort to simply avoid incarcerating those addicted to heroin and other potentially deadly opioids. The NBC article referenced here states that over 28,000 people died last year from opioid overdose in the United States. This number has quadrupled since 1999. Many of the overdoses occur from various opioids laced with a powerful prescription pain killer called fentanyl. 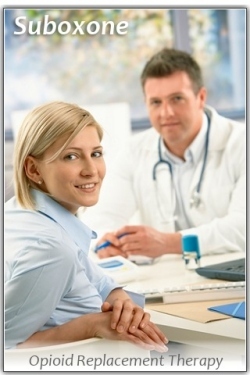 Methadone and buprenorphone (the active ingredient in suboxone) are the leading medications used in medication-assisted treatment approaches. Naloxone is another important medication which has been used to reverse opioid overdose. It has saved thousands of lives and is being widely adopted by first responders and police departments across the country due to its proven effectiveness. President Obama expressed that the U.S. will move toward improved drug treatment access for opioid addicted individuals and that the issue of addiction will be dealt with more as a public health issue as opposed to strictly a criminal act. Included in the proposed legislation is doubling the patient limit such that doctors can treat up to 200 people with buprenorphine (suboxone). The current patient limit is 100. The Department of Health and Human Services is reported to have committed another $94 million to community health centers to boost their provision of medication-assisted treatment in poor and isolated communities. Many rural areas of the U.S. have very limited availability of opioid addiction services. PBS’ Frontline series of specials just aired a compelling documentary by the name of Chasing Heroin. 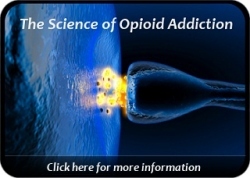 The two hour investigation profiles a number of individuals who became addicted to opioids, some of whom chose methadone or suboxone to help them successfully manage their addictive disorder. The documentary highlights that addiction is best addressed as a medical illness instead of a punishable criminal act. There is widespread consensus today that putting large numbers of people in prison for drug use has not been an effective approach to the problem of drug addiction. Incarcerating users is very costly and ultimately does not lead to remaining drug free once released from prison. For those suffering with a chronic opioid addiction, medication assisted treatment has become the standard of care proven to be most effective – particularly for those individuals who have tried others forms of treatment that did not work. 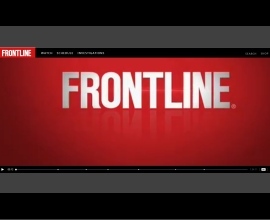 The Frontline documentary linked above is very informative, but please be forewarned that it does display vivid scenes of drug use that some viewers may find disturbing. So please exercise appropriate caution before viewing. NBC News recently reported on the heroin crisis that New Hampshire residents have witnessed. Unprecedented numbers of people from all age groups are struggling with opioid addiction. Many are now deceased with estimates putting the number at nearly 400 who died from a fatal overdose just last year. New Hampshire is reported to have no state-funded methadone programs to assist those experiencing severe heroin and other opioid addiction. There are several private clinics, but those are currently full with waiting lists for individuals who hope to one day be admitted. Diane St. Onge, director of the Manchester Comprehensive Treatment Center, is quoted as saying “We need more treatment options. People’s lives are at stake.” Her clinic is presently operating at capacity with 540 patients according to the NBC article. Scores of untreated addicted adults are seeking treatment. When clinics are at capacity, they are forced to place prospective patients on a waiting list. It is estimated that a significant number of the overdoses are related to heroin and other opiates being mixed with fentanyl and other substances. This makes the potency of the drugs being used almost impossible to predict thus greatly increasing the chance of accidental overdose. 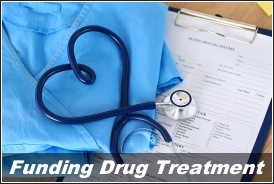 Detox or medication-assisted treatment are the primary modes of intervention for those with opioid addiction. While there has been a substantial increase nationwide in the number of clinics dedicated to treating opioid addiction, there remain numerous areas throughout the country where methadone and suboxone support services are not yet readily available.